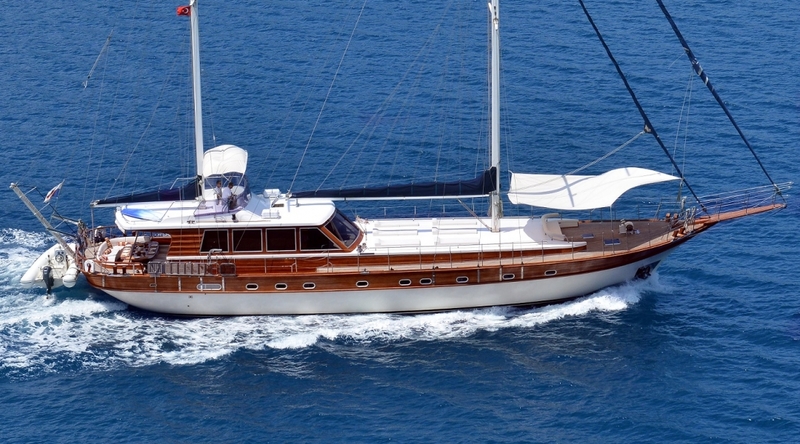 The charter yacht Euphoria is a delightful Deluxe gulet with a modern and fresh decor highlighted by beautifully crafted rosewood timber panelling and carpet throughout the interiors, and is superbly maintained and presented. 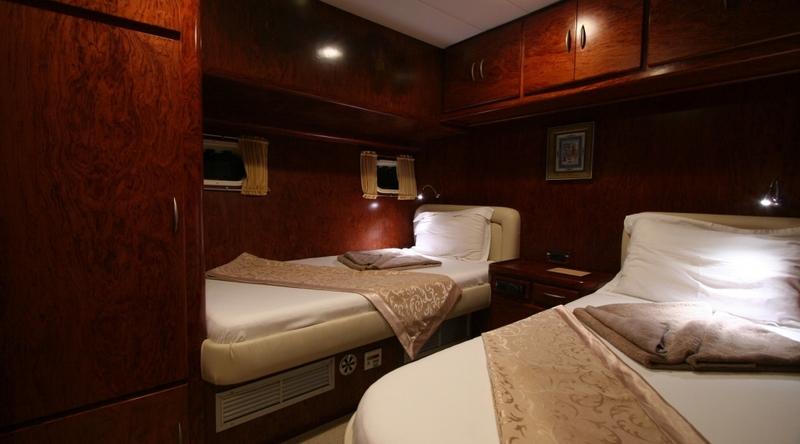 For up to nine guests her 27 meter wooden hull allows good space for four attractive cabins: one spacious master cabin with a centrally aligned bed, one double bed plus single bed cabin and two twin bed cabins, all with air-conditioning, music system and well-designed en-suite bathrooms complete with hairdryers. 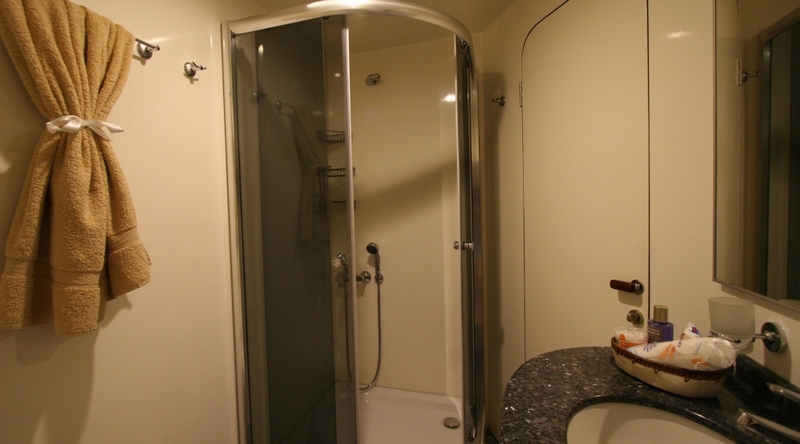 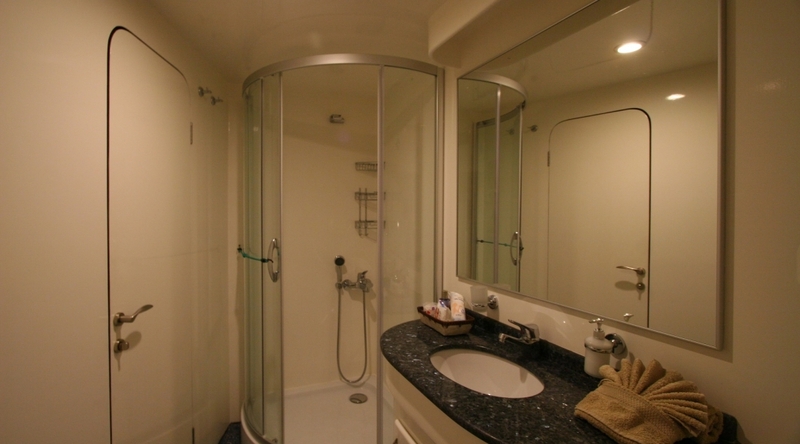 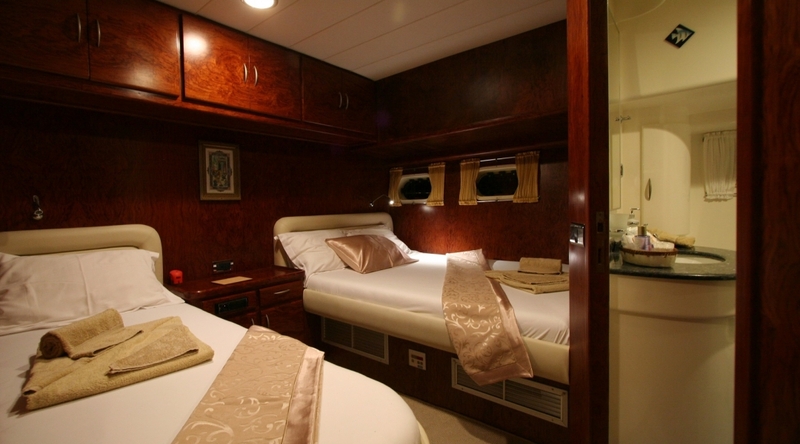 The master cabin enjoys extra storage, a vanity table, a side bench seat and its own TV. 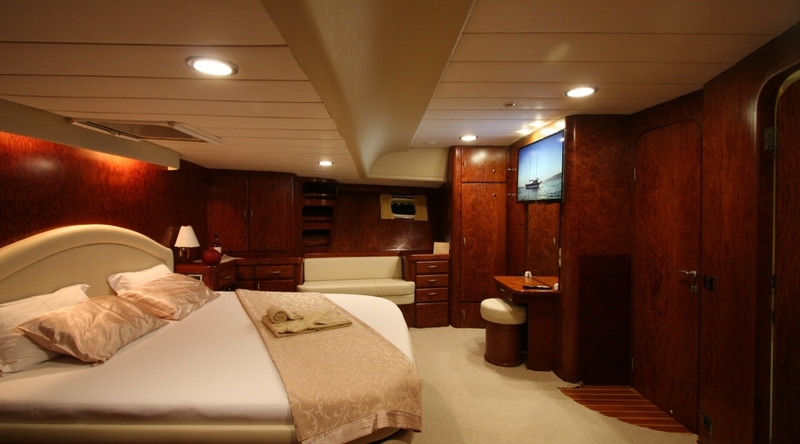 The saloon of Euphoria yacht offers a very comfortable carpeted indoor retreat with a long cushioned seat with two tables and TV/DVD, music system and internet connection. 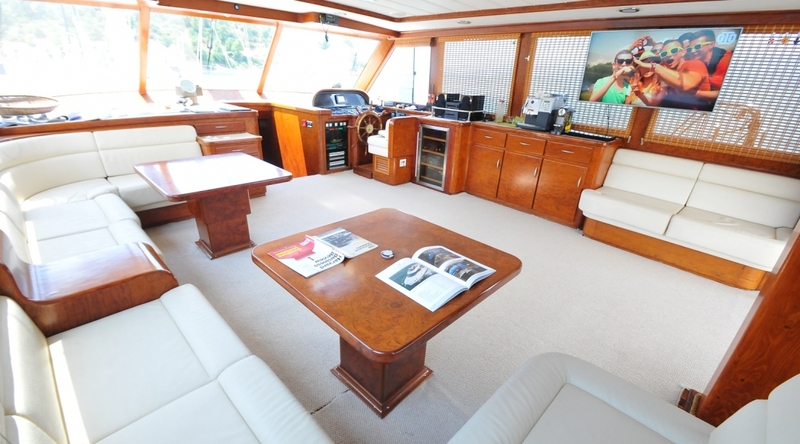 Leading directly out onto the aft deck by full length sliding glass doors guests find the aft dining table with a comfortable seating bench and three armchairs inviting for enjoyable al fresco meals shaded under the roof. 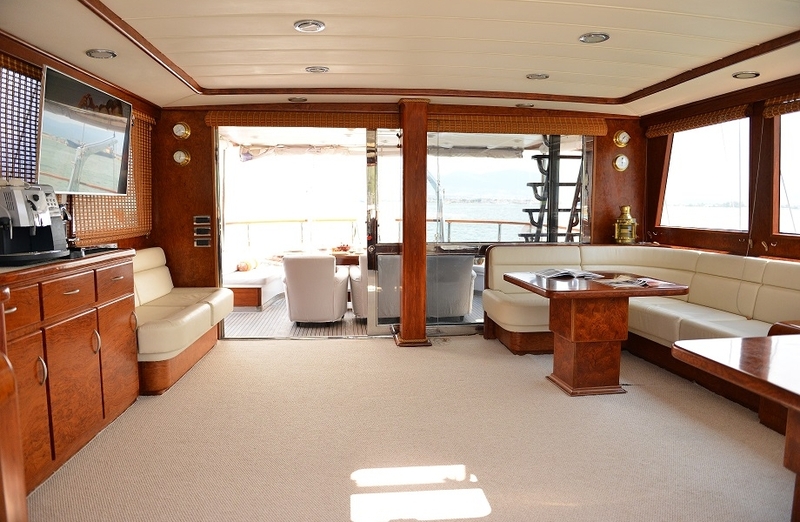 Up forward private sunbeds offer space for lazing in the sun and enjoying the views while Euphoria carries her guests into beautiful quiet bays along the Turkish coast. 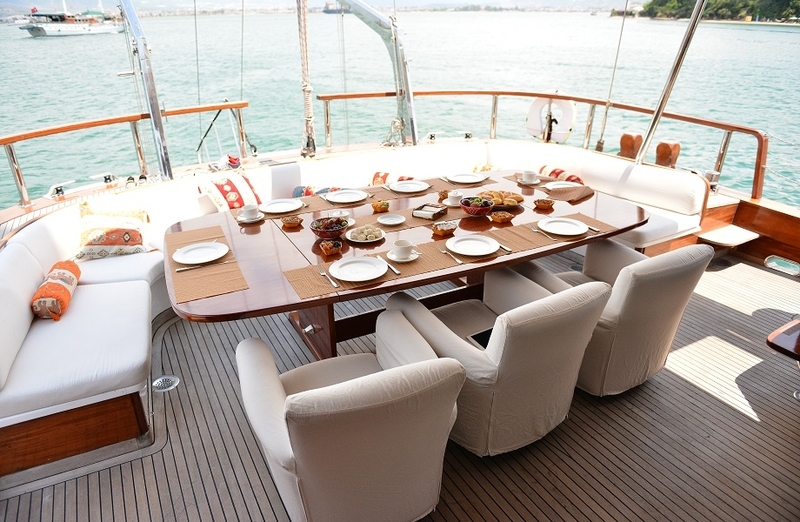 The wide and comfortable bow seat invites for sundowners on early evenings before dinner. 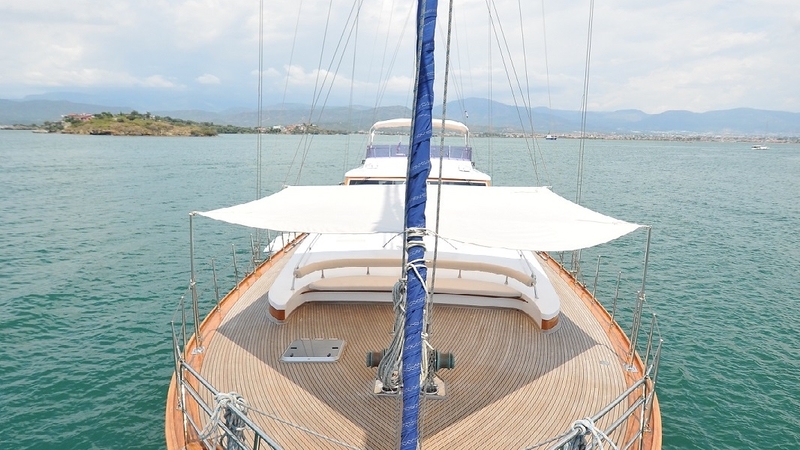 The professional and hospitable Captain and crew of four look after the service, meals presentation, care and navigation of the gulet, ensuring all the guests’ needs are attended to, while also finding the best anchorages along the Turkish Agean coast and the Southern Dodecanese Greek Islands, by motor or with the full sailing rig, to make for an unforgettable yacht charter holiday.